Title: 09/14/1984 - Relationship between the hazard communication standard and the Department of Defense's requirement for safeguarding classified information. ILPI Notes: This interpretation is based on and references the original HCS 1986 which, along with HCS 1994 is now obsolete. While some parts have been deleted or changed, the conclusions of this interpretation appear consistent with the current regulation (HCS 2012). 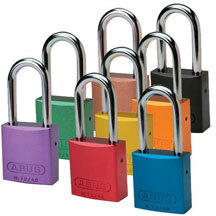 Ensure security with anti-tamper seals and tapes from Safety Emporium. You have inquired about the relationship between the Occupational Safety and Health Administration's (OSHA) Hazard Communication standard [in context: HCS 1994 | current regulation: HCS 2012] (48 Fed. Reg. 53280-53348, November 25, 1983) and the Department of Defense's (DOD) requirements for safeguarding all classified information to which defense contractors have access. The several written and oral communications which have followed your initial letter indicate that you apparently have a general interest in this issue rather than an actual problem requiring resolution. Many of the hazardous chemicals that Motorola can expect to be using when the Hazard Communication standard takes effect [Note: HCS 1986 took effect May 26, 1986] will have no security implications. Therefore, Motorola will be required to comply with the hazard disclosure requirements regarding those substances. Insofar as circumstances arise in which Motorola supplies hazardous chemicals directly to DOD customers, the Armed Services Procurement Regulations (ASPR) [Note: this is now called Federal Acquisition Regulations (FAR)], Clause 7-104.98, requires that contractors provide hazardous material identification and material safety data sheets. The Government then uses this information to apprise its employees of hazards to which they may be exposed in the course of their work. Thus, regardless of the Hazard Communication standard's [in context: HCS 1994 | current regulation: HCS 2012] applicability, contractors are already required to transmit hazard information "downstream" to their DOD customers. 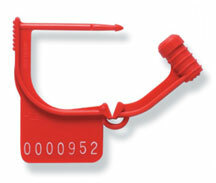 Achieve OSHA compliance with lockout/tagout (LOTO) supplies from Safety Emporium. Downstream employers receiving hazardous chemicals subject to DOD security regulations from Motorola would also, most likely, be DOD contractors. They would, therefore, be subject to the same security requirements while working with the chemicals, and subject to the same notification requirements (see point 2, above) when delivering products to the Defense Department. The Industrial Security Manual (see paragraph 5(c)) specifies that "Contractors shall ensure that classified information is furnished or disclosed only to authorized persons." (See paragraph 3(e).) It is the "need to know" (see paragraph 3(bg)) which determines access to classified information. This need to know permits contractors to disclose classified information to their employees so they can "perform tasks or services essential to the fulfillment of a classified contract or program." Defense contractor employees must safeguard any classified information which they obtain in the course of their work. (See paragraph 5 (f).) Employees' access to classified information is conditioned by satisfaction of the Industrial Security Manual's security clearance procedures. (See paragraphs 5, 20 and 22). There may be circumstances when security requirements will preclude disclosing the identity of a hazardous chemical to employees. Motorola would inform its DOD contract officer as to the particular situation arousing concern.